Since 1931, Roberts Brothers Tire Service has been in the business of quality auto repairs and the best selection of tires. We put the word service in our name for a reason; it’s in everything we do. Stop in and see us at our shop in Pine Bluff, AR. We’re close to White Hall, and Sheridan, and wherever you live. Enjoy a free tire rotation with every oil change, and free rotations with every tire purchase from our shop. Don’t have time to wait with your vehicle? Our free shuttle service will take you anywhere within city limits. Schedule your next appointment with us today. Roberts Brothers Tire Service is located in the heart of Pine Bluff, at 1415 E Harding Ave. The shop is open Monday-Friday from 7:30 a.m.-5:00 p.m. Give us a call now at (870) 534-2911 to schedule your next appointment. No matter what you drive, we can fix it—loaders, forklifts, tractors, daily drivers, everything. Need your oil changed? A brake repair? Roadside assistance? Steering & suspension repairs? Give us a call. We’ll service your vehicle and make it run like new again. Roberts Brothers Tire Service is the supermarket of tires. Choose tires from great brands like MICHELIN®, BFGoodrich®, and Uniroyal®. 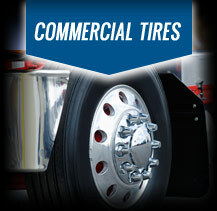 In addition, we stock a variety of specialty tires, including commercial, farm, and industrial tires. If it’s round, rubber, and rolls, we got it.